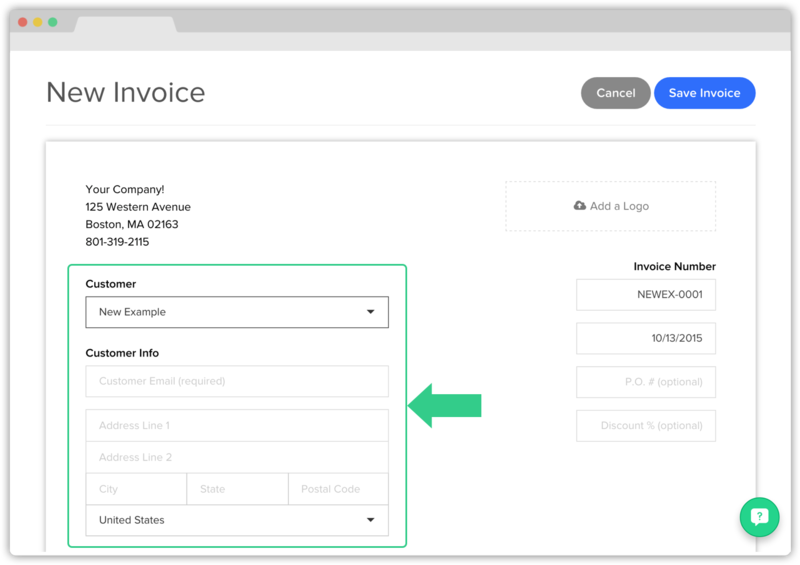 Make and send out an invoice in 6 simple steps. 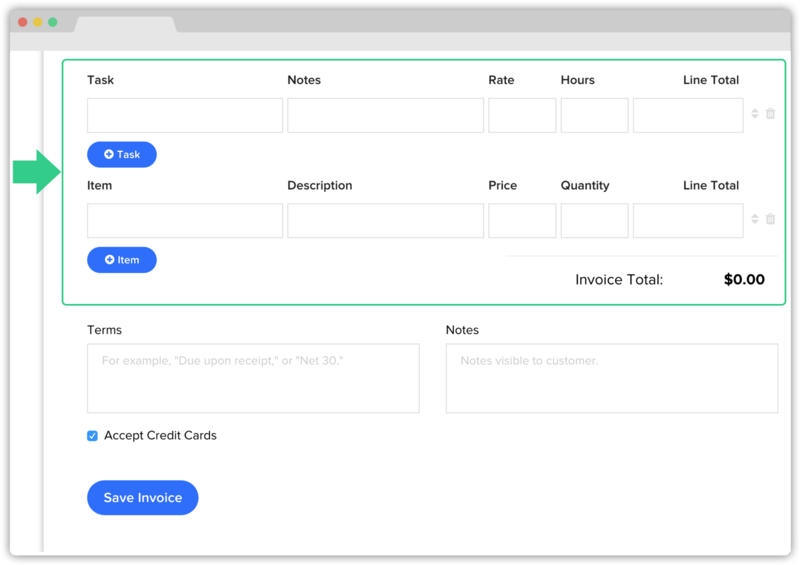 Click Create Invoice on the left-hand side of the home screen. 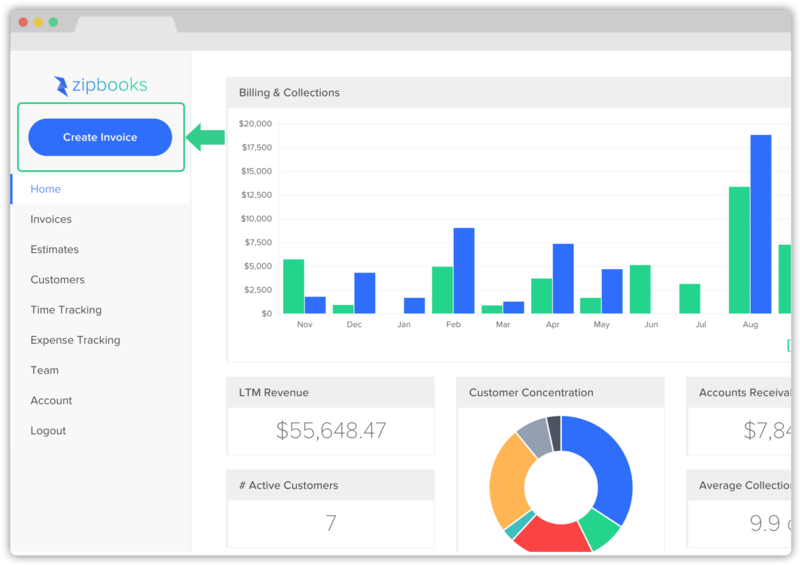 Add a new customer or select an existing customer. If needed, add new customer information. 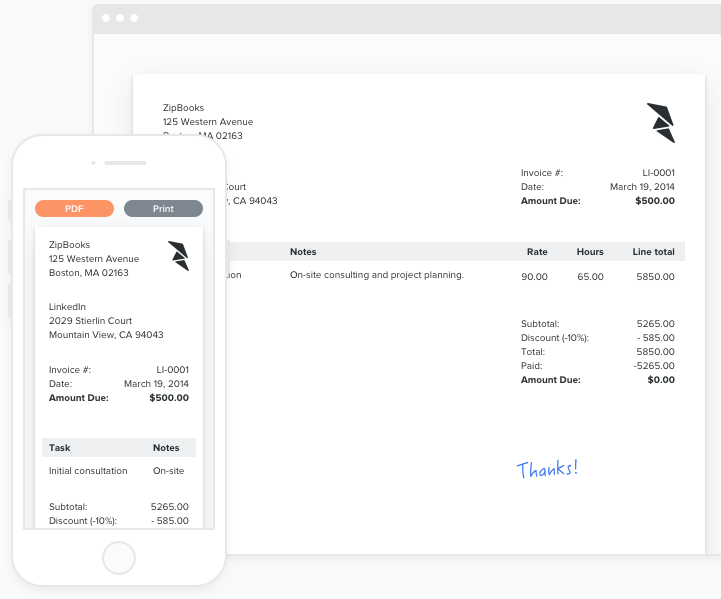 Add a new task and fill out the rate and hours. 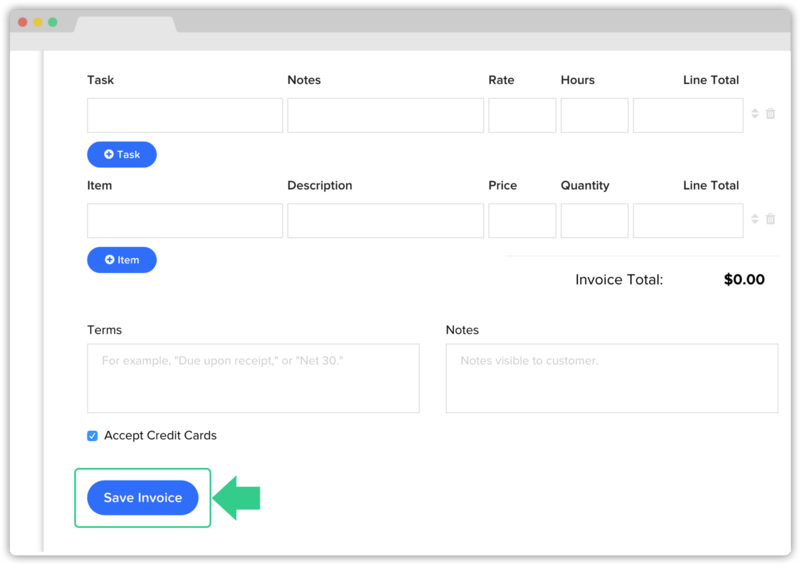 Add an item and fill out the price and quantity. 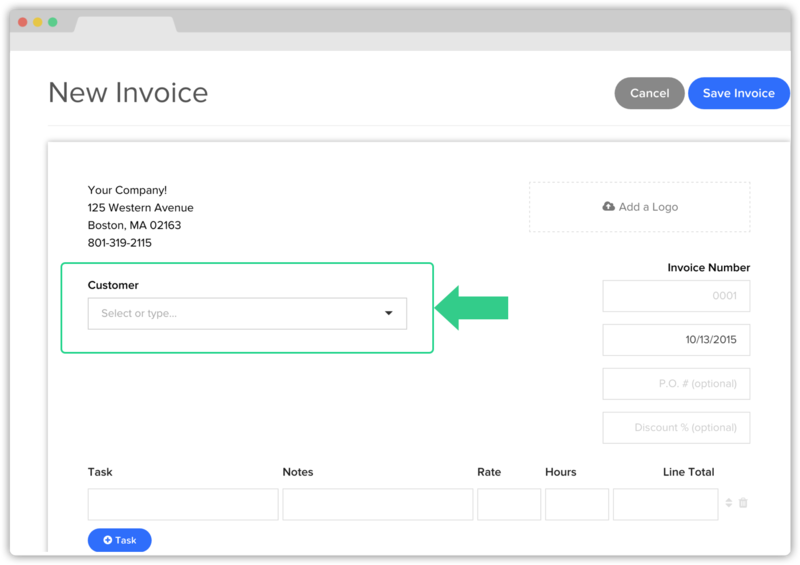 Click Save Invoice and review your invoice before finalizing. 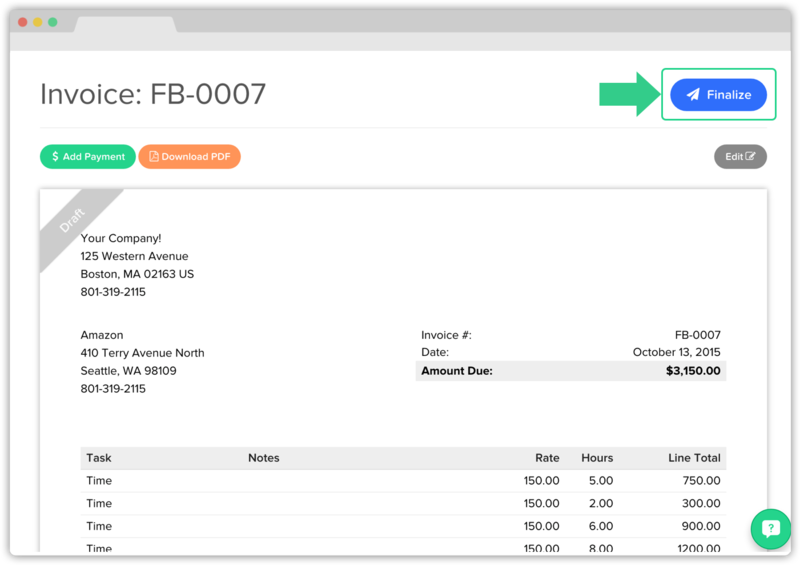 After reviewing your invoice, click Finalize in the top right-hand corner. A message box will appear. 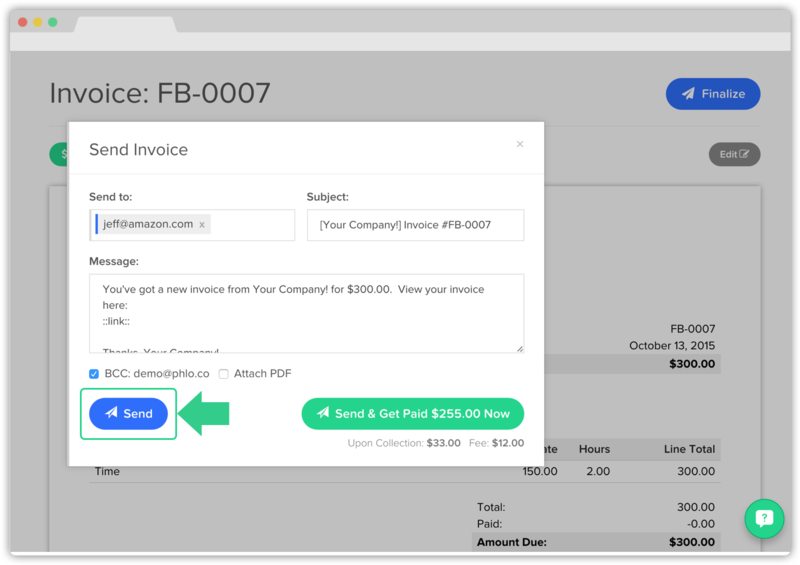 Complete the message and click Send to send out the invoice.